I am always happy to exchange qsl cards and have collected far too many to count over the years. Today's package arrived via the qsl bureau and contained some nice cards. 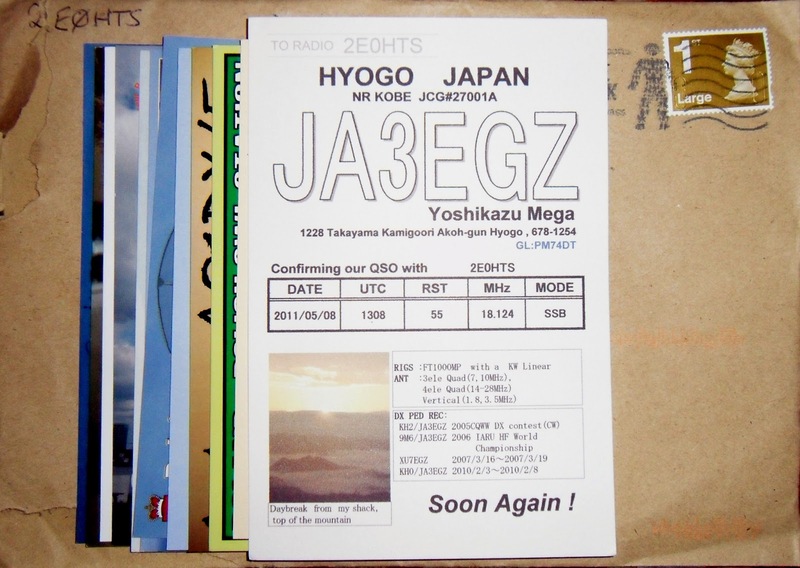 My favourite this time around is a Japanese qsl card pictured above from JA3EGZ - Mega. Earlier this evening ARISS participated in another successful International Space Station school contact with Sir George Simpson Jr. High, Canada. The qso took place at around 20,00 utc, I received a good signal from the ISS crew which can be heard in the video below. I have been enjoying my Easter break with the family and getting about as well as playing radio in between. 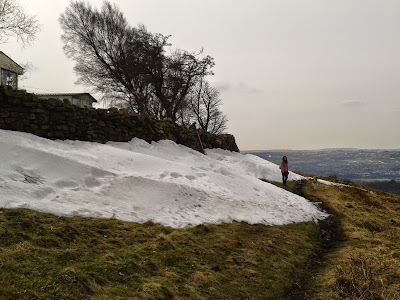 Finally the sun has been visible throughout the weekend which was all that was required to enthuse us all to venture up to our moor top holiday home. When we got there the snow drifts were still hanging around despite the pleasant temperature of 8 C. Dudley our dog enjoyed sniffing out the many rabbits to be found as we walked around the moor top retreat. Inside the shack (B) the amateur radio gear was thankfully still working very well. I dusted back the sheets and I enjoyed playing radio on my good old FT-767 HF transceiver & delta loop antenna. My little FT-2600M & the rest of the VHF kit that I have set-up was also still good including the home brew IO-10 Sat beam and rotator. I worked some nice stations on 17m, 15m and 12m throughout the afternoon and had a good time hanging out with my lovely family with some juice, hot drinks and chocolate biscuits. The HF bands have been quite good here in Yorkshire of late. 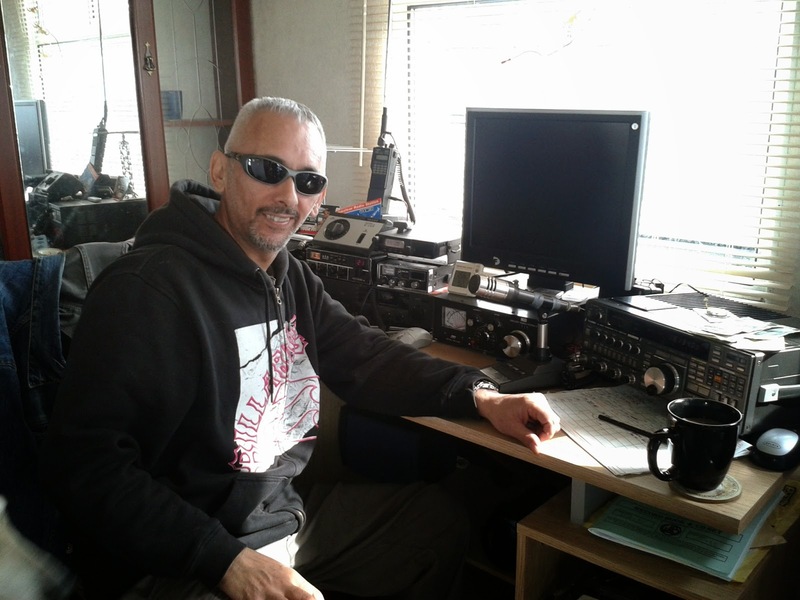 I was surprised just how good 15 meters is right now during a nice long qso with a US West Coast ham station KU7O - Jerry, from Washington. 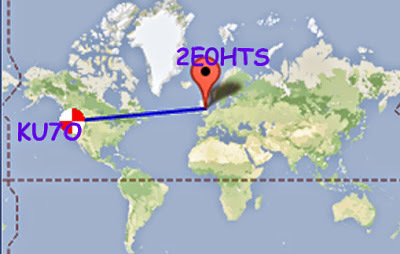 Jerry was calling CQ on 21.290 MHz at around 21.30 utc with a cracking signal to my cobweb antenna & FT-1000mp transceiver when I answered his call. 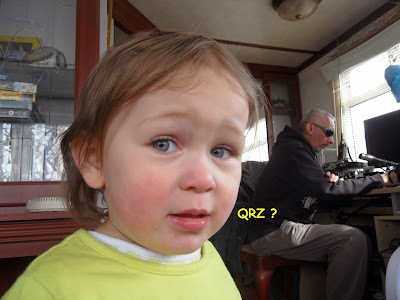 Our signals were strong enough to maintain a reasonable exchange of information throughout the qso, it was definitely an armchair copy! Jerry was 5/8 - 5/9 and my report back was 5/4 which was pretty cool. I am impressed with the performance of 15m band tonight and shall be getting back to it after this post to catch the rest of the signals I am hearing during this nice opening. 73 Happy Holiday!